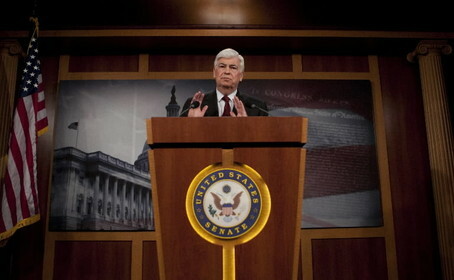 Ever since Sen. Dodd announced his financial reform plan, I’ve been waiting for a good analysis of it. Steven Pearlstein, of the Washington Post, wrote a scathing article today on the bill. Wading through the 1,336-page “chairman’s mark” of the Senate’s financial regulatory reform bill, my initial reaction was the same as the Senate Republican leader’s response to any Democratic initiative: Put this sucker aside and start over. Don’t get me wrong — I’m all for clever compromise, but this one looks like the proverbial camel concocted by a committee that set out to design a horse. Unfortunately, Mr. Pearlstein’s story on the bill fell short of any real analysis. Not being satisfied and wanting to know what actually was in the bill, I downloaded the Reform Summary: FinancialReformSummary231510FINAL. Overall it sounded pretty good which caused me to wonder why Pearlstein was against it. So, I wandered around to all of my favorite economists websites, hoping for a better analysis. Financial Times explains it, from the perspective of the Fed’s role. The Fed would lose oversight of banks with less than $50bn in assets in a bill by Chris Dodd, chairman of the Senate banking committee, which was introduced this week and will go to a mark-up next week. The $50bn threshold is a compromise from Mr Dodd, offered after his earlier proposal to remove all of the Fed’s bank supervision was roundly rejected by the Treasury, the Fed and some senators. Paul Volcker, the former Fed chairman, appeared alongside Mr Bernanke to describe the idea of hiving off all of the bank’s oversight as a “grievous mistake” that would harm the conduct of monetary policy and financial stability by limiting the Fed’s understanding of the financial system. In another article, FT reports on the objection by the U.S. Chamber of Commerce and big banks against the Consumer Financial Protection Bureau (CFPB) which, under the current proposal, will be housed in the Fed with independent powers to protect consumers and investors and with a permanent budget. “In every case consumer protection has the edge and will trump safety and soundness and I think that is backwards,” said John Dugan, the comptroller of the currency, at an American Bankers Association conference. Mr Dugan, whose office regulates national banks, said a Consumer Financial Protection Bureau proposed in Mr Dodd’s financial regulation bill, which was published on Monday and is to be revised next week, was too strong. However, Mike Konczal has a good start analysis of the bill on his website, Rortybomb, in his analysis of the resolution authority. Think of resolution authority as a relationship between deterrence, detection and resolution. Ideally we’d like to be able to detect firms that are going to fail beforehand, and use the financial sector’s regulatory powers to push them back on a stable path. So resolution isn’t just about failing a firm, it’s about taking steps to tell a firm that they must take action to become safer before they are resolved. This is what regulation at commercial banks do all the time – they create limits and caps and explicit capital ratios. The fact that if they fail, the government will detect it and force changes acts as a deterrence – if they are going to get caught, why even bother? This was the argument between bankruptcy and resolution authority – Republicans thought that if you just made the resolution above painful enough, through an ugly bankruptcy, that would be enough to force deterrence, and we wouldn’t even really have to bother with detection. The problem is that financial bankruptcies have externalities for banks that have no problems, as well as crushing the lending channels our real economy needs to grow and survive. And the parachutes are so golden, reputation incentives don’t see to do the trick. And the payoffs are so asymmetric and the books are so easily cooked, shareholders can’t bring disclipine. And so on. This is why we need regulation, specifically regulation to expand this pattern from commercial banks to the largest financial firms. Of particular interest – and somewhat cynical humor – is Konczal’s What would Goldman Lobbyists Hate About the Financial Reform Bill? I want to approach it from a different angle: What would an investment bank hate about this bill, and lobby hard to change? I actually read this bill as if I was a Goldman Sachs lobbyist, looking for all the sections that I hated and made a list of what items I needed to lobby hard on to kill or modify. What’s there to object to? More practically, what’s this bill really going to do? I really couldn’t find anything outside of two items that nobody expects to be effective anyway, and one I’m doubting will get passed. Overall, the bill, so far, sounds pretty meek and makes only weak reforms of a financial system that nearly brought down the world economy. Some of the reforms, which the Chamber of Commerce and Banks really hate, deal with shareholder rights to vote on compensation and election to the board of directors as well as the CFPB. I can understand why big banks, like Goldman, Chase, Citi, and BofA, would hate these regulations, but why does the Chamber of Commerce hate them? After all, most of these regulations not only help consumers in general, they help to protect small to mid-sized businesses. But maybe small to mid-sized businesses are less important to the Chamber than big banks. Of course, Senate Republicans are already on the attack, wanting to weaken even further or defeat Dodd’s bill entirely. I understand that Republican objections are politically motivated – how can they win back Congress and the White House if Democrats successfully pass legislation that protects consumers and investors? – but here’s the big question: how do they dare put party politics ahead of the health of our financial system and the well-being of every business and American family in the United States? Investors learned this week of Wall Street’s latest attraction — a new “futures” market where anyone from casual moviegoers to Hollywood moguls would be able to wager on the success of upcoming movies. In many ways, the Hollywood Stock Exchange is simply the logical extension of the recent trend in financial markets, which have long since outgrown their original purpose — to raise capital for real businesses — and have now turned themselves into high-tech casinos offering endless opportunity for speculation. The rationale for this market in movie futures is roughly the same as the one offered for stock and commodities futures, or credit-default swaps or even the market in “synthetic” CDOs, those securities designed to mimic the performance of the real-life packages of mortgages and other debt instruments. Apologists talk about how much “liquidity” they bring to these markets, magically lowering costs and moderating price swings while allowing all manner of businesses to hedge their risks. And because these markets can accomplish these things with absolutely no unpleasant side effects, it is folly to even consider regulating them and stifling this wealth-producing innovation. To understand what hogwash this all is, take a closer look at the Hollywood Stock Exchange, which the New York Times reported will soon be launched by Cantor Fitzgerald. A growing number of leading economists are sounding a warning that banks are not as sound as their public relations pronouncements state. They still have all those millions, if not billions, of dollars of worthless securities on their balance sheets, but they’ve been assiduously ignoring them. Rather than embrace yet more speculative ventures, Wall St. needs to figure out to clean up their balance sheets. Any additional losses – or even higher interest rates – could lead to another bank collapse. If Wall St. is betting that the American taxpayer will open their collective wallet again, they’re in for a rude surprise. Today only about 39% of investments go to providing capital for new business ventures. The rest goes towards one form of speculation or another. Yet, America and Congress are still enthralled with Wall St. which is why the Street has been able to thwart any meaningful regulation this long after the world financial collapse that led to the Great Recession. Already, Europe and Asia are pushing the U.S. government to restrict derivatives, CDOs and other speculative instruments because of the harm they’ve already caused. So, when will the U.S. finally begin to realize that Wall St. isn’t that much different anymore than a Vegas casino? A clear message, through tough reforms, needs to be sent to Wall St.: clean up your house of cards or die; you won’t gamble with our money any more. Under the current system, small businesses will see their premiums increase by as much as 20 percent next year, with the average increase around 13 percent — more than five times the expected rate of inflation, according to a new survey by the National Small Business Association (NSBA). The survey findings are in line with insurance premium increases between 2000 and 2005, according to the Kauffman-RAND Institute for Entrepreneurship Public Policy, a California research group. It found that the median cost of health insurance for businesses with fewer than 25 employees rose 43.5 percent during that time. Small businesses that don’t offer insurance realize that they are at a competitive disadvantage when it comes to hiring and retaining top employees. Yet 89 percent of firms without health insurance have no plans to offer coverage in the next year because it’s too expensive. If it were affordable, however, 63 percent say they would offer it. Not surprisingly, a strong majority, 61 percent, thinks reforming the current system is important, according to the NSBA poll. But an even bigger majority, 73 percent, is opposed to being required to contribute financially to their employees’ health plan or to pay some kind of fee if they don’t. In contrast, a Thomson Reuters poll found that 63 percent of Americans surveyed are willing to pay for health care reform if it delivers quality care at an affordable cost. In other words, small business owners want reform, but they are unwilling to pay for it. Is this realistic? Hardly, but it is indicative of the disconnect that exists among small business owners on the health care issue. Keith Ashmus, NSBA chair and co-founding partner at Frantz Ward LLP in Cleveland, summed up the issue with the release of the study. “The key is enacting reform that won’t make costs go up — reform that guarantees access, affordability, and quality while ensuring American small businesses are no longer at a competitive disadvantage,” he said. Without the [government] option, what’s left is a package of “reforms that are mere trite extensions of what the U.S. government has been doing for decades,” wrote Holman W. Jenkins, Jr., this week in a commentary in The Wall Street Journal. Instead of seeking answers to the problem of paying for and providing medicine, we are doing the exact opposite. Taxpayers’ money is being played with by politicians who are desperately trying to protect the competition-stifling, false security of the monopolistic employer-based health care system and its outdated, over-charging, under-delivering ways. Given the least consideration are those affected the most — the patients and the doctors who care for them. However, The Hill points out, the Wydan Amendment would, by necessity, require the overturning of the health insurance companies anti-trust exemption…to which they are totally opposed. Although the proposal is very popular with Democrats and liberal groups, Reid has concerns that attaching it to the healthcare legislation risks damaging prospects for an effort already facing significant hurdles. Republicans say Reid is being calculated in a different manner, dangling the standalone bill as a way of intimidating the companies into making concessions on Obama’s broader healthcare objective. But they will have to overcome recent testimony from former Senate Republican Leader Trent Lott, who backed a broader effort to lift the exemption for the entire industry. So far the powerful insurance industry has held back waging a full-out battle against Democratic health reform proposals because companies stand to gain tens of millions of new customers. But adding language that would open health insurance companies to prosecution by the Justice Department would provoke a strong counterattack from the industry. Reid has long argued that health insurance companies are able to gouge consumers because they are not subject to the Sherman Antitrust Act, which outlaws trusts and monopolies that stifle competition. “They could be conspiring to fix prices as they do every day and not a single thing could be done about it because they are not subject to the law like everybody else,” Reid told a crowd of healthcare workers at a Tuesday rally. Republicans charge the legislation would destroy the industry. “Some of my colleagues would like to destroy the insurance industry because they want a government-run healthcare system,” said Sen. John Cornyn (R-Texas), a member of the Senate Finance panel. Cornyn said that Reid is waving the threat of antitrust legislation to cow the industry into making more concessions on healthcare reform. “We all understand what he’s trying to do — it’s an intimidation tactic,” Cornyn said. In all of these negotiations, I keep reading about industry concerns and concessions to keep them happy. But I have to wonder where are the concessions to keep the rest of us Americans happy. Why is Congress kowtowing to an industry that is protected from anti-trust laws, raises its prices by 25% minimum per year, and now lobbies against any competition caused by the Wyden Amendment or a Public Plan? Is this what Madison envisioned when he wrote the Constitution or his share of The Federalist Papers? I don’t think so.